Click here to see our price list or click here to get an online quote. Feel at home with NZ4U2U Modern luxury caravans for hire to explore New Zealand, Christchurch, and South Island. All of our caravans are less than three years old. Each caravan includes a shower, toilet, heater, gas/electric oven, microwave, gas hobs, gas/electric fridge, cutlery, crockery, toaster, electric jug, kettle, pots and pans, linen, and all other sundry items required for the complete holiday. Your health and happiness is our top concern so, our caravans have safety equipment in them. This includes a first aid kit, smoke and LPG alarms, GPS locator and electrical mains cable. Why hire your caravan from us? Our motto is to provide you the best holiday experience ever. 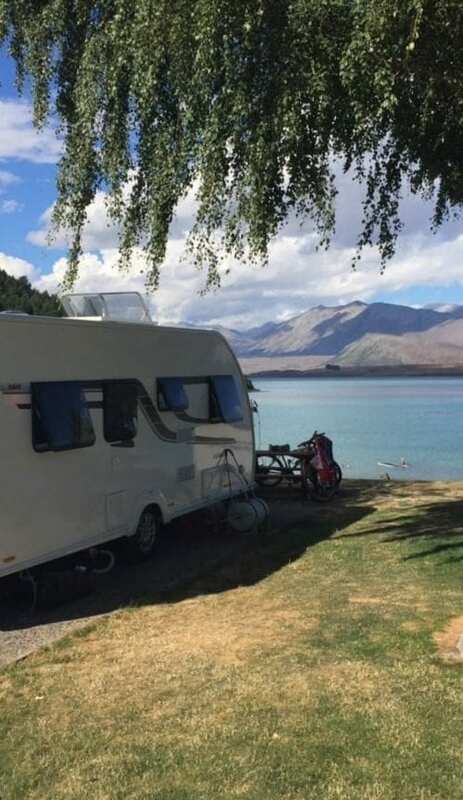 We believe in “Commitment to excellence” and our best service makes us unique.Our caravans are light and easy to tow, completely self-sufficient with solar and water storage so you can ‘Freedom camp’ for the real kiwi experience. All our caravans come conveniently equipped with everything you need for a fantastic holiday. Each caravan has a self-containment certificate so you can go off grid and do not need to be bound by the constraints of camping grounds, and booking ahead. You can pick the best spots and go where the mood takes you. If you are planning a caravan holiday in Christchurch, North Island, and South Island then we have put together nine itineraries especially for you which will show you the best of New Zealand with Nz4u2u Modern luxury caravans to give you the comfort of being at home while exploring these exciting destinations.Each tour includes information about the distance you will travel and the time it will take, suggested overnight parking spots (free and paid) and some marvelous suggestions for fabulous things to do. You may wish to spend longer in some spots and move more quickly through some of the days than we suggest. We have allowed lots of time each day to park up the caravan and go exploring. We think there is no point in spending all of your time in travelling. This is where a caravan is so much better than a motorhome or campervan. You can park up in your chosen spot and go off exploring in your car. Our car hire partnerships provide you with the complete package. For your convenience,we have made caravan holiday planning easy for you by setting up a special partnership to bring you a car and caravan option. The perfect car to match with your caravan. This means if you have one of our 2 berth caravans for over a month through May to August you could be touring for as little as $140 per day. Your car can be collected locally or at other locations around New Zealand. For further information contact us. My wife and I hired a caravan from NZ4u2u. All our dealings with them went very smoothly and the caravan supplied was in perfect order, and well provisioned. We had a wonderful holiday and would certainly recommend NZ4u2u and will be back to them when planning our next caravan trip. Amazing!!! Your caravan was beautifully presented and the places we stopped were amazing. It is such a convenient way to holiday. We followed our own route and stopped where it suited us. Would definitely do it again. Cheers to NZ4u2u for providing such a beautiful and well appointed caravan. We could not fault it. We recommend them for caravan hire. We really enjoyed our caravan. In winter conditions, snowed in and very cold night... The caravan was cosy, warm, spacious and comfortable. Perfect way to get around and follow your nose . For us we followed the snow, and we got plenty. New Zealand is also known by its native Maori name, Aotearoa, meaning Land of the Long White Cloud. Indeed, New Zealand is known for its beautiful clear skies, stunning landscapes, and vistas unlike anywhere else on earth. If you come to New Zealand for the views, you will never be disappointed. New Zealand is small in size, (similar to Japan, Italy, or Great Britain) and is home to 4.5 million people. Around its edges are white sand sub-tropical beaches, black sand volcanic ones, and rocky coastland, as well as dozens of islands. In its interior, there are volcanic plateaus, its own Southern Alps, geothermal wonderlands, rainforests, and glaciers. The climate is temperate, with a “Winterless North” and frosty south, but overall pleasant range of weather year-round. The backbone of its economy is agriculture, and it is known for its grass-fed beef and lamb, world class wines, and GM free produce. Tourism, as well as academic tourism, has become an important product as well. 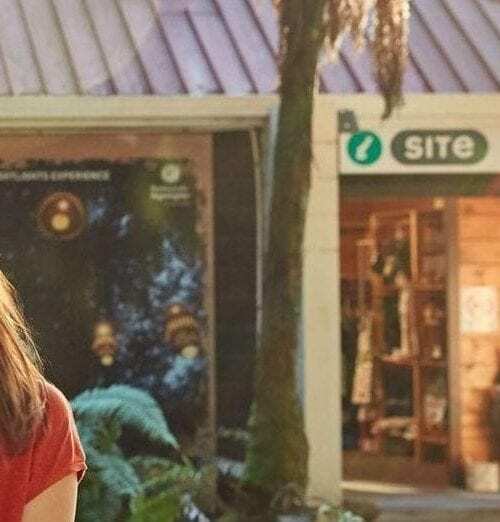 New Zealand has plenty of room to welcome tourists to its uncrowded, safe, and clean spaces and there’s no place like it to get away from it all while enjoying all the comforts, and luxuries, one could imagine in your home away from home. Haere Mai. Welcome. The North Island is home to Auckland, an international, vibrant, exciting city of 1.5 million as well as the capital city, Wellington, with its university, Houses of Parliament, Te Papa National Museum and a fun eclectic feel. In between are volcanoes, mud pools, farmland, beaches, ski fields, vineyards, and the occasional Hobbit. Come explore! The South Island is known for its vast untouched spaces, spectacular scenery, skiing, fishing, hunting, and adventure tourism. It also has one of the world’s only Night Sky Reserves, glaciers, fjords, more vineyards, and access to Stewart Island, New Zealand’s third island, a beautiful, rugged nature reserve and historic area. Ferries make connecting the North and South Islands easy, with daily comfortable crossings. The absolute best way to see all that New Zealand has to offer is with a caravan; at your own pace, in your own space, with no accommodation worries, and the great wide road ahead of you. Do what pleases you, throughout your trip. We offer you luxury on wheels, in your completely self-contained, comfortable and beautifully appointed caravan. Here on our website, we offer everything you need to plan this trip of a lifetime, from travel advice, to tours, to ways to communicate with other travellers, and more. Explore our website to find out more about our caravans, and your trip possibilities. To see what you could see in New Zealand, visit our tours page . We want you to have the best holiday ever. Book with us. We might be small but we care. We know that your recommendations are the cornerstone of our business, so we want you to have a fantastic experience. We think the best way to see our beautiful country is by caravan: you can stop and enjoy the view, or move on when you are ready. Go where the mood takes you, leave your caravan parked and go exploring in the car. Caravans are self contained with their own kitchen and bathroom and are equipped with solar power. This means travellers are not bound by the constraints of camp grounds and other accommodation. Use our helpful distance calculator to plan your trip. Modern Luxury Caravans for Hire. Make moments. Because in the end, it’s not going to matter how many breaths you took, but how many moments took your breath away. We want you to have the best holiday ever. Book with us. We might be small, but we care. We think the best way to see our beautiful country is by caravan. Our caravans are completely self-sufficient and allow you to go off grid. You are not bound by the constraints of camping grounds and available spots. The choice is yours.